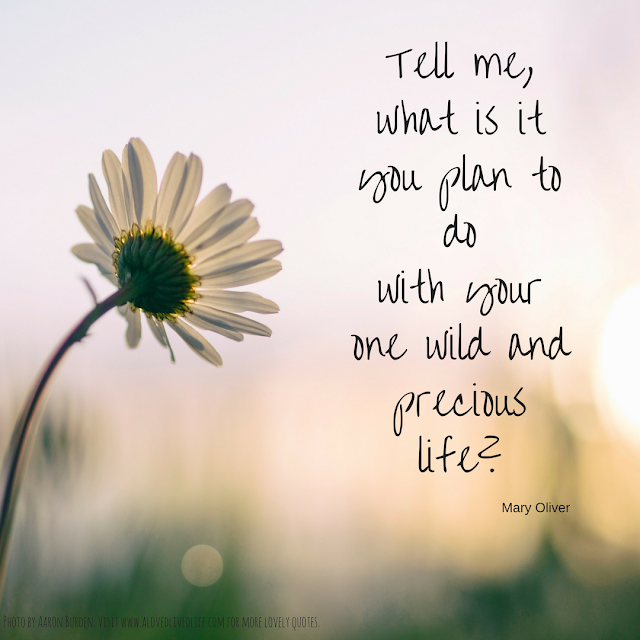 Today I added eleven things to my already overflowing 'To Do' list and I was struck by one of my favorite Mary Oliver quotes, "Tell me, what is it you plan to do with your one wild and precious life?". I want to remember that each of these 'to do's', in the end, is how I spend my time and thus how I spend my life. Are they worth a piece of my life? Are your 'to do's' worth a piece of yours? Here's a link to the full poem. This is such a beautiful post. The quote ot Mary Oliver is amazing. It is a very good idea to have a list of things to do and then decide how we are going to spend our time to achieve the set goals. Thank you for the post.